Tonight on "Nightly News," Lester Holt offered a glimpse into the U.S. Coast Guard swimming rescue team, the elite group that saves people from treacherous waters. 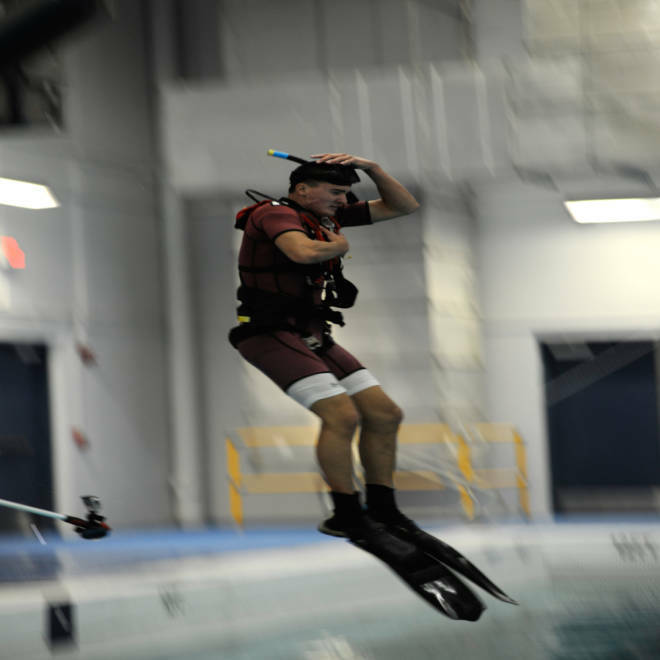 He visited them on June 4 during their training mission at the Coast Guard Air Station in Elizabeth City, N.C.
See what it takes to become a Rescue Swimmer for the U.S. Coast Guard. 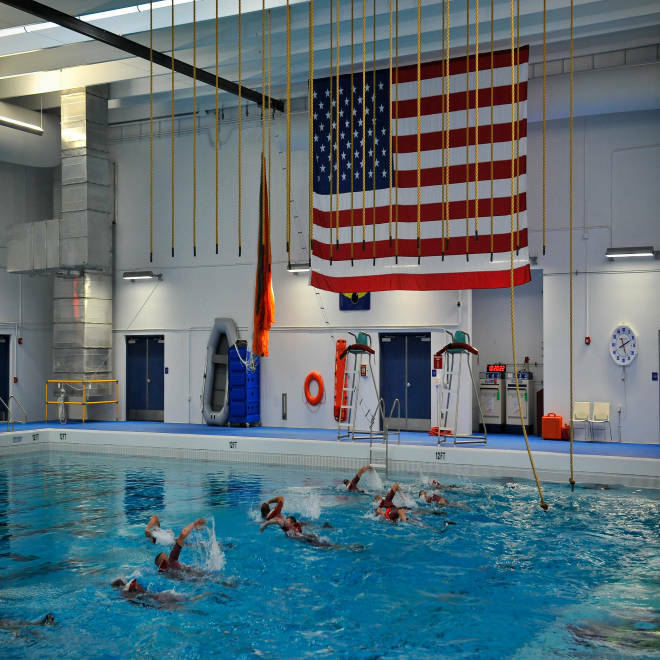 An exclusive look inside the Coast Guard Aviation Technical Training Center, Elizabeth City, N.C.
Below, a sampling from the students' grueling program -- from push-ups to hours logged in the pool. Here, Lester Holt speaks with Lt. 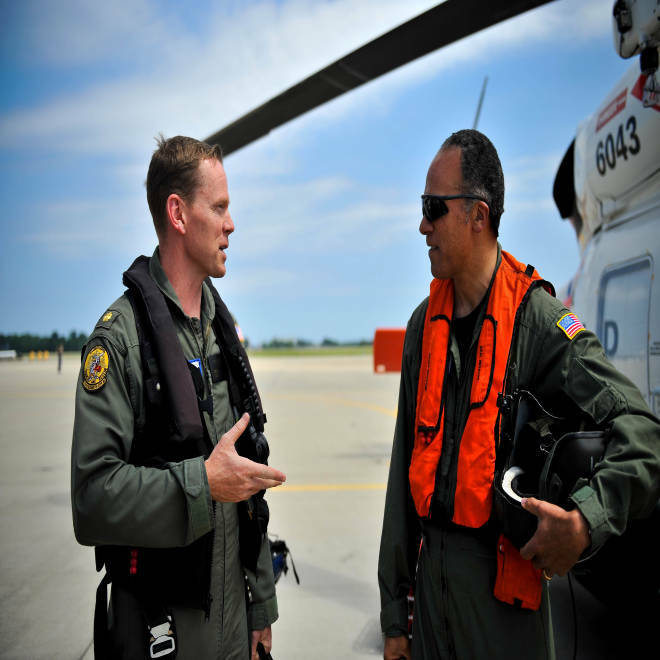 Commander Steve Bonn, an MH-60 Jayhawk helicopter pilot from Coast Guard Air Station Elizabeth City, N.C., before departing for a training mission over the Pasquotank River near the air station. Airman Marshall Blom, an Aviation Survival Technician (AST) in training, undergoes physical training with kettle bells. Leg strengthening is another important part of the program. 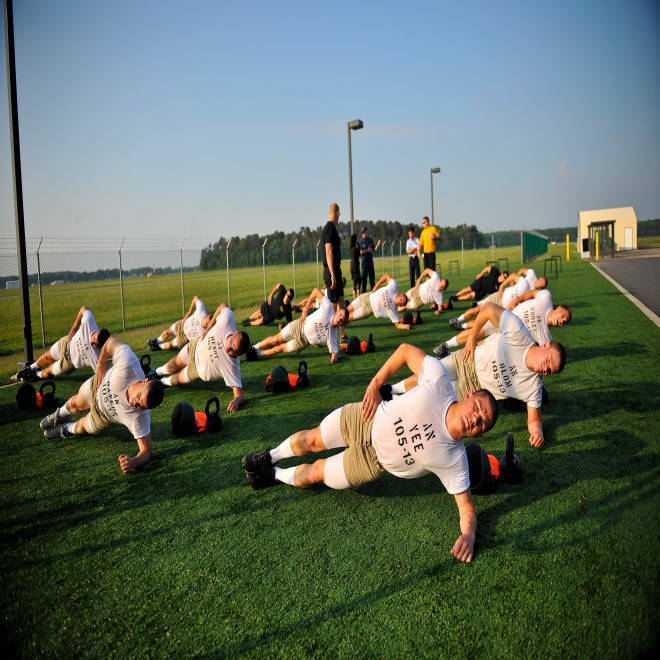 The plank, a workout for the entire body, is part of Petty Officer 2nd Class Eric Young's regimen for those in training. 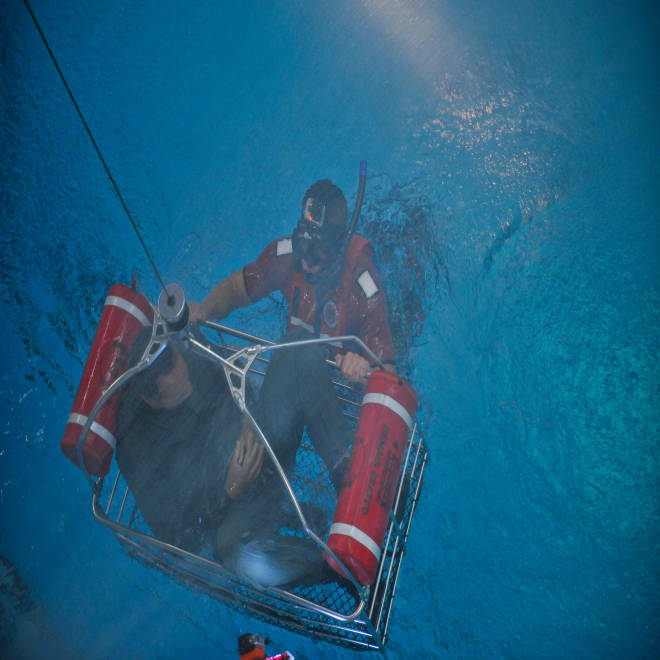 Airman Joshua Piasecki assists Airman Adam Via into a rescue basket in the rescue swimmer training facility pool. 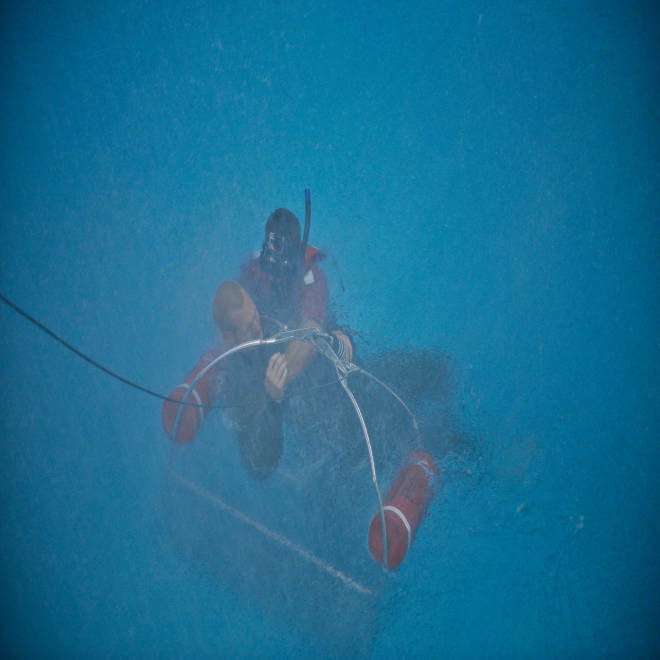 Lester Holt participates in a "survival tow" during a training rescue. Piasecki places Lester Holt in a rescue basket and prepares him for hoisting. 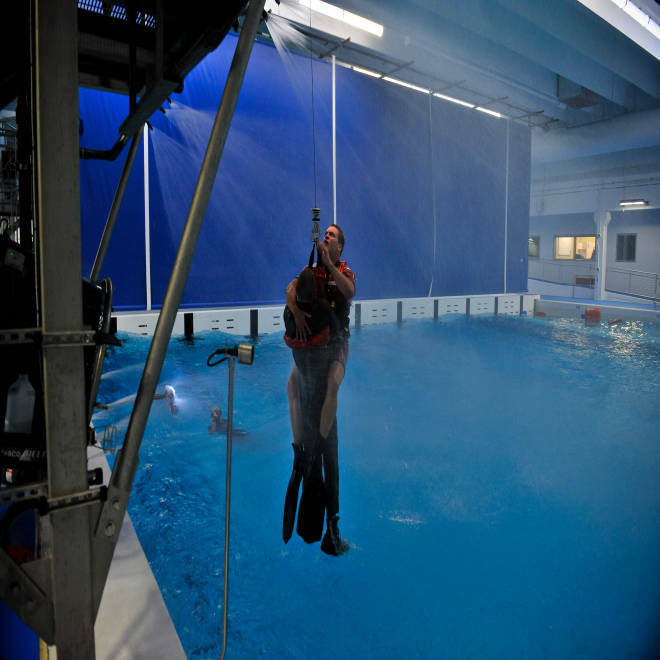 Petty Officer 2nd Class Eric Young, an AST instructor, is hoisted out of the water using a rescue stop. A successful mission: Young makes it out of the water, thanks to Piasecki. 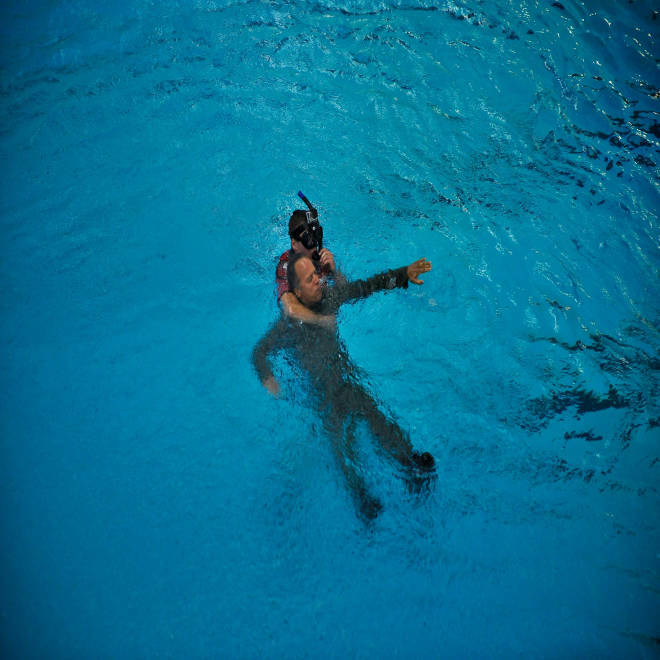 The rescue swimmer training pool. AST students stand at attention following the raising of the national ensign on June 5 at 8 a.m., signifying the start of their work day. 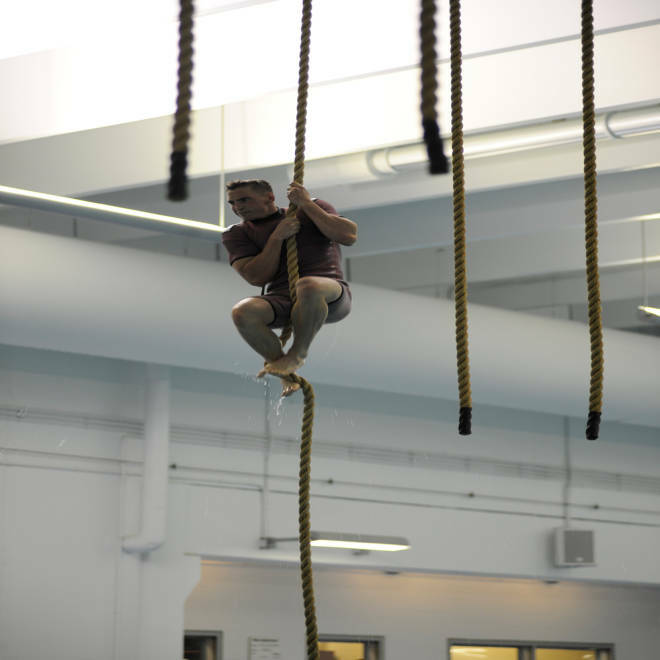 Airman Zachary Burley climbs to the top of the first rope at the pool rope course. AST training is not only physical challenging, but mentally challenging as well, pushing students to their breaking point. The rope course, one of many physical challenges, also demands coordination and acumen. 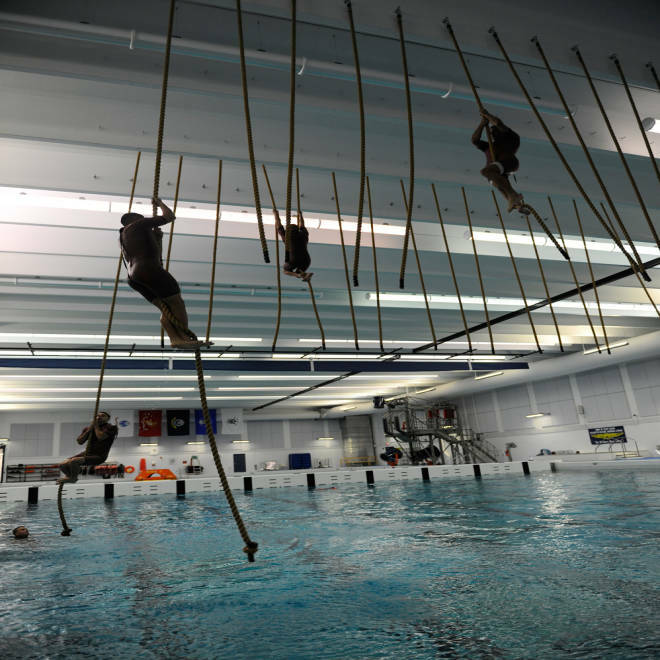 The elite group of U.S. Coast Guard swimmers that rescue people from the sea undergo some of the military's toughest training: an 18-week program that builds physical and mental strength. NBC's Lester Holt reports.